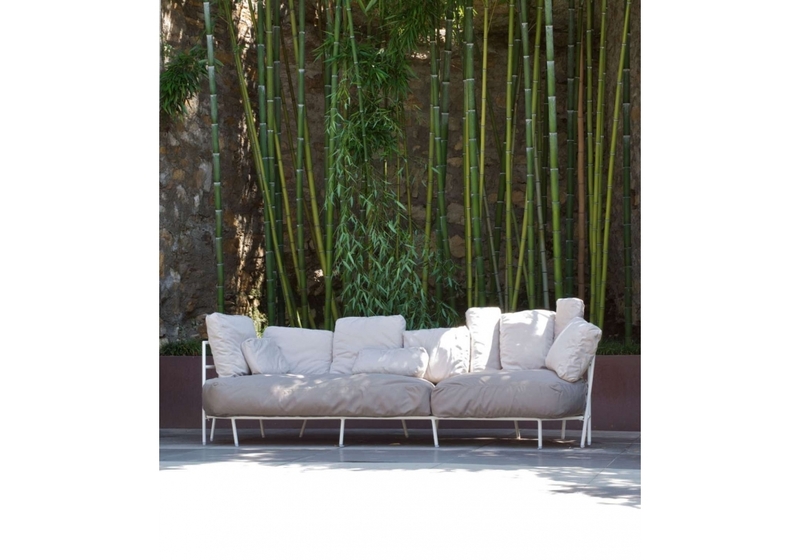 Three-seater sofa for outdoor use with structure in stove enamelled steel. Removable cover in 100% coloured acrylic fabric and stuffing in expanded alkyd resin. Cushions included in the prices. The cushions are all available in the same color. Size pillows: pz.4 (45x45 cm), PZ3 (45x35 cm), pz1 (25x25 cm), pz2 (40x25cm). 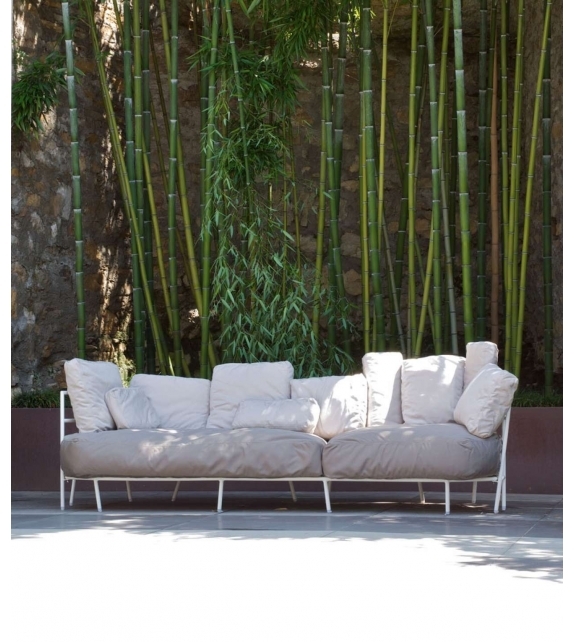 The dehors collection is designed to create an ideal “garden living-room”, inspired by nature and its irregular shapes. This is a collective system, comprising of an armchair, sofa and chaise-longue characterized by a frame in steel treated for outdoor use and coated with opaque embossed powder. Dehors cushions are weather-resistant, thanks to their carefully selected padding and covers.